Just a quick post to let you know the reunion has started! We’re here in Little Rock and although attendance is expected to be on the lighter side, we still have a great group here this year. People have been stopping by the meeting room, and we’ve already spotted a few first-timers (whom, we hope to convert to regulars!). Tomorrow a number of people are heading over to the Clinton Library and Museum and down to the River Market to do some shopping and enjoy the city. 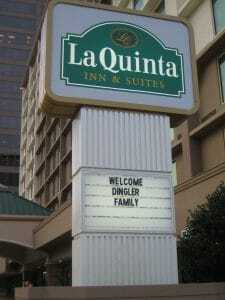 Of course, tomorrow evening we’ll all gather for dinner and the annual meeting. 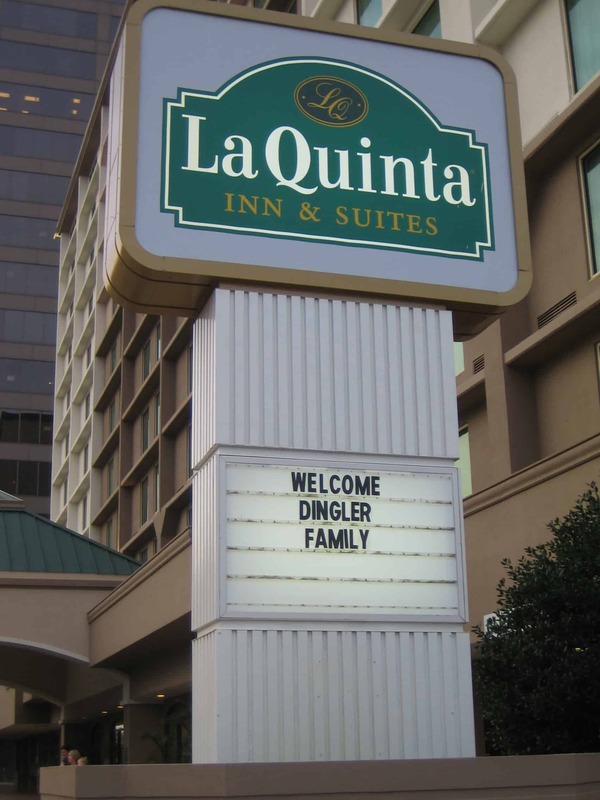 If you aren’t here in Little Rock, here’s the greeting you would have received from the Downtown Little Rock La Quinta, the official Dingler Reunion hotel for 2007.